The world of international mining is changing rapidly. Mining corporations are encroaching on more and more greenfield sites in Africa, the Asia-Pacific and Latin America, to serve ever-expanding global industries. 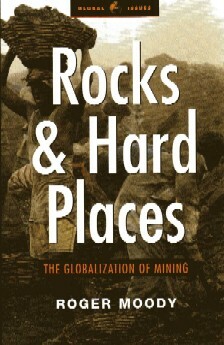 Moody shows that large-scale mining imposes a heavy toll on local communities, on their fragile economies and ways of life, as well as the environment. He challenges the mining corporations' recent public relations offensive extolling the virtues of largescale mining and its alleged compatibility with sustainable development, and reveals the unprecedented wave of community and trade union opposition to projects in both the South and the North. This important book concludes with urgent proposals to check the role of multinationals in a sector that has always been at the core of resource exploitation.